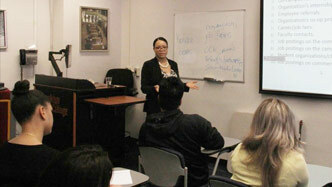 On-campus visits from experienced professionals give students insight about potential career paths. 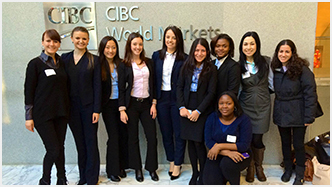 Through our career panels students gain access to professionals in various career fields. 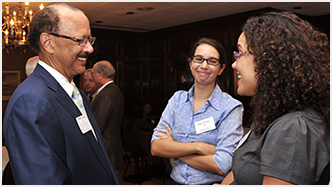 Networking events let students talk to professionals and alumni and build professional relationships. What better way to learn about a career than through an experienced alumni mentor? Alumni mentors can provide knowledge about a career field, specific company, and work environment, and help students determine their career path. The Magner Center offers workshops, events, employer panels, and more to help students obtain internships. The center's Internship Stipend Award program allows students to take unpaid off-campus internships. Speak with one of our counselors to have your résumé reviewed or take part in a mock interview to help you prepare for a specific job interview. 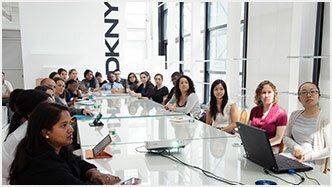 Want to know what it's like to work at MTV, Google, or The New York Times? Come with us on our next company trip to find out what it's like to work at your desired future workplace. Résumé review, developing a 30-second pitch, finding your career passion, and finding paid internships are just some of the different workshops we hold each semester. Speak with one of our counselors for advisement about your career goals, choosing the right major, and any questions specific to your career that you may have. Don't have time to come to the Magner Center? 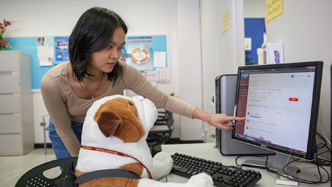 Use our online resources such as our InfoCentral page to find tips from alumni on what to say during an interview, review a quick résumé guide, and more! 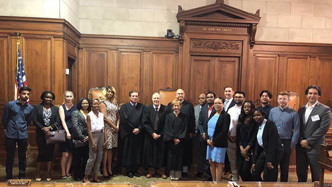 Interested in pre-law? Come meet with our pre-law adviser to learn about the resources, events, and other help that we offer.